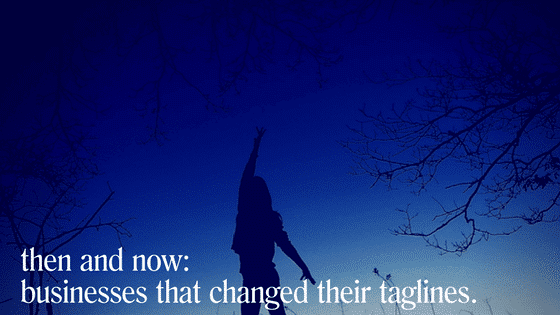 Below are eight “Then and Now” business taglines with my observations. A challenge for you: Before you read my observation, try to figure out why the business changed their slogan. There are no wrong or right answers (except for one), just thoughtful ones. Ready? Here we go! Why would I want to feel ordinary? Why not feel special? Oh, I get the message in Airbnb’s old slogan. Airbnb is a platform in which ordinary people open up their homes to other ordinary people. It’s not a hotel you’re staying at, it’s someone’s home and they want you to feel ordinary (not awkward about paying somebody to share their spare room with you). However, this attempt to make the ordinary cool just comes across as forced. You’ll notice their new slogan takes a different perspective, one that’s more aspirational and has less of a couch surfer feel. Instead of focusing on the fact that you’re staying at someone else’s home, it focuses on the community that’s created when you choose Airbnb. There new tagline is a statement that taps into how a travelers wants to feel. Thumbs up on the change, Airbnb. Replacing the “I’m” with “you’re” places the spotlight on YOU. Yes, YOU, the consumer. 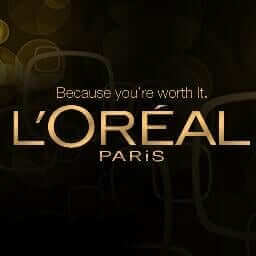 In this way, L’oreal also wants you to identify with the brand. When you come up with a business slogan, see how you can place your customer in the spotlight. What do YOU think? Should L’oreal have stuck with “I’m”? Or is “you’re” a good move? Connecting you with the people, places, and things you love. 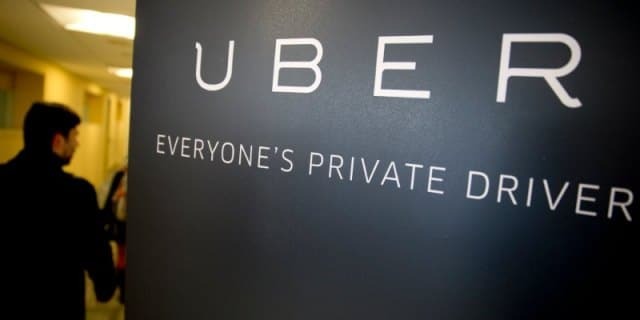 In event, Uber made a mistake by moving away from “Everyone’s private driver.” This is by far the best because it’s more specific about what they do. Especially because the company name is made up, it’s important that the tagline positions the what and who they serve. This original tagline accomplished this task well indeed! I also like that they’ve taken something that used to be for the elite and made it available to the masses. That’s also captured in the original slogan. Too bad they drove away from it. Then one day, FedEx got a vision to go international and decided to appeal to the masses with a safe and serious tone. That would be the second reason they changed their business slogan. If you want to appeal to the masses, a playful business tagline isn’t going to appeal to everyone. Knowing how you position your brand is crucial when delivering your brand promise and creating your business slogan! This was a great move by FedEx. Their even newer business tagline is a mouthful but not all people are fans of brevity. I preferred The World On Time. That’s a promise I like! Their slogan today? Their brand promise expanded and so did the amount of text. There’s no question that their tagline today is a winner but I’m a branding expert, so I have to ask: Other than deciding to come up with something better, is there any other reason why Campbell changed their business tagline? Yes. 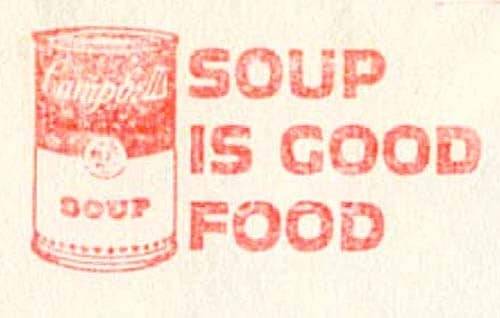 The sodium content on the can of soup made their business tagline a farfetched claim and not an actual brand promise. It made sense to change. This is not a typo. After Nike’s success with the business tagline, Just do it, they tried to score again with another tagline in the 90s but it failed. As a result, they stuck to the business tagline that was never broken in the first place. Notice how they tried to emulate the success of “Just do it” by coming up with a business tagline that was even shorter. Nice try, Nike. This is an example of how businesses are always aiming for brevity. Less is best, cutting out the fat, whatever you call it, it’s a good route to try. Burgers King sells burgers. It is what it is and their old slogan, “Have it your way” was fitting. This new slogan is trying too hard and fails. It really wants YOU to identify with their brand … with their processed burgers and fries. This slogan would suit a clothing brand, an intangible service or even a service that serves HEALTHY food. The takeaway here is, don’t try to be something you’re not! Moving on to our second (and final) food chain example, Denny’s! Here’s what I want to point out: Don’t create a slogan that is too general and don’t give people a reason to admonish you. A good place to eat? Really Denny’s? I beg to differ. But I can’t argue with the second slogan. Sure, there are plenty of diners in America that are always open but Denny’s snagged it first. What do you think? Does it conjure feelings of being in America? Is it provocative? When coming up with a tagline for your business, be brave, be provocative and give it personality. If after a while your brand promise changes, then go back to the drawing board and tweak it. These companies did and they’re doing fine. 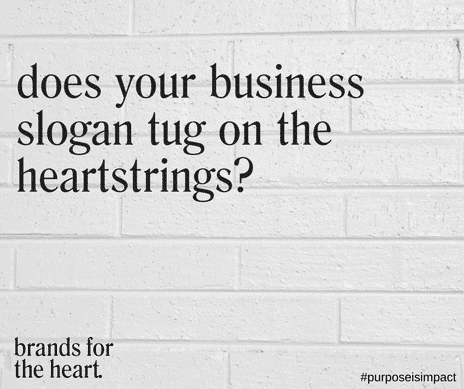 Do you have any memorable business taglines worth mentioning? Please share them below. For more tips on creating an impactful brand, download your free Impact Method Roadmap here.